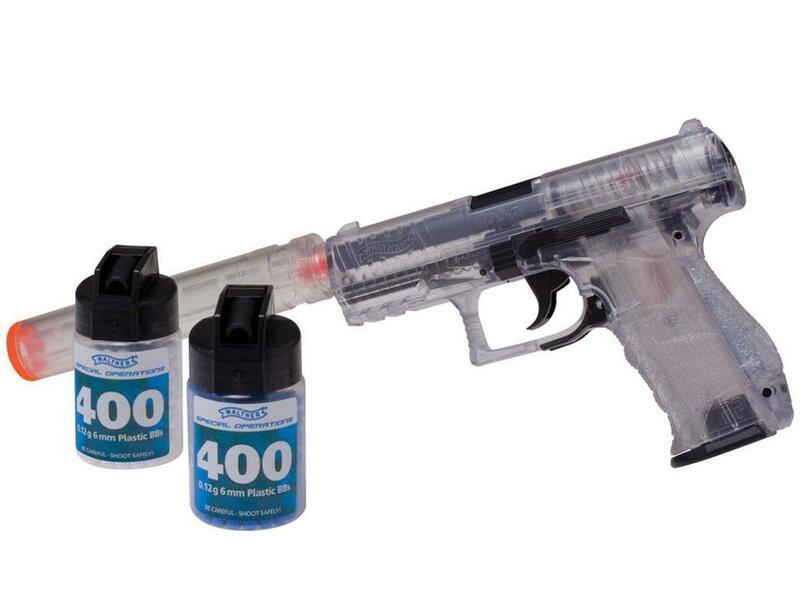 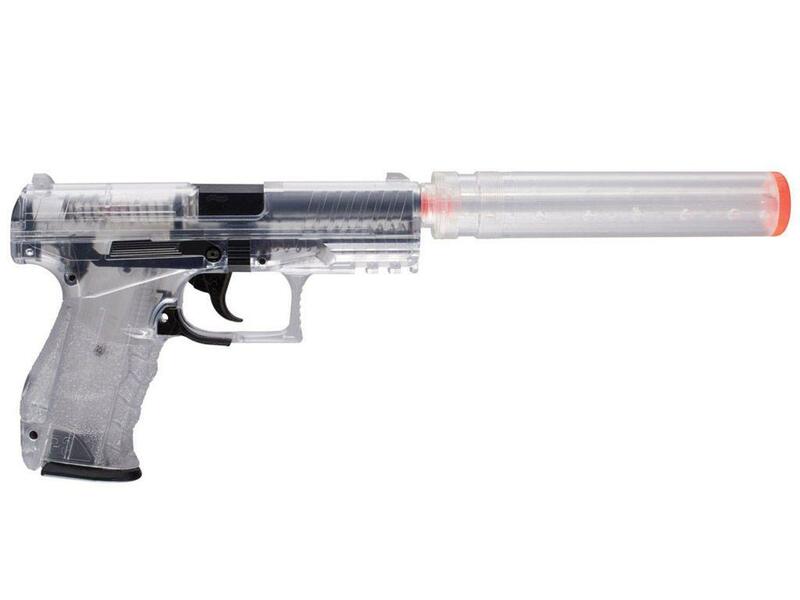 Buy Cheap Walther 2272544 Clear PPQ Combat Kit|ReplicaAirguns.ca | New Website! 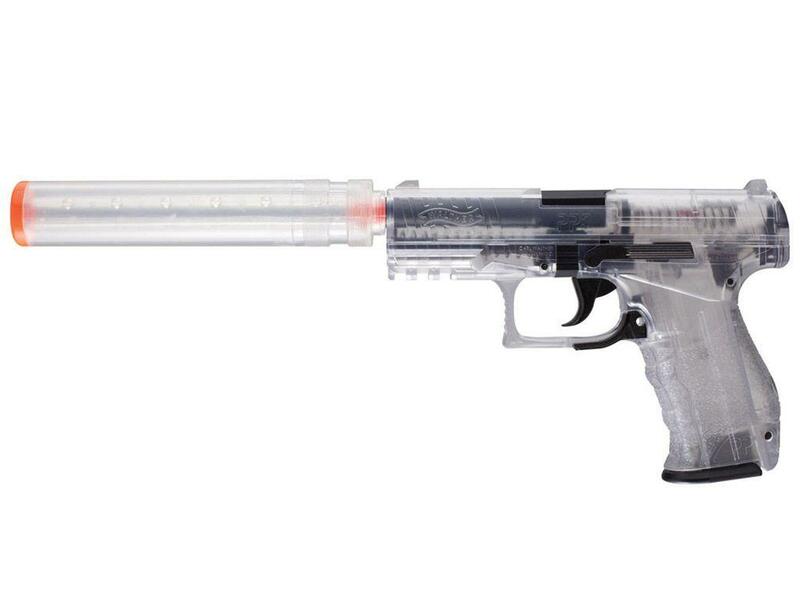 Comments: This single-action, spring-loaded airsoft gun kit has a velocity of up to 300 feet per second, detachable compensator and features two 15-shot magazines with built-in, 85-round reservoirs. 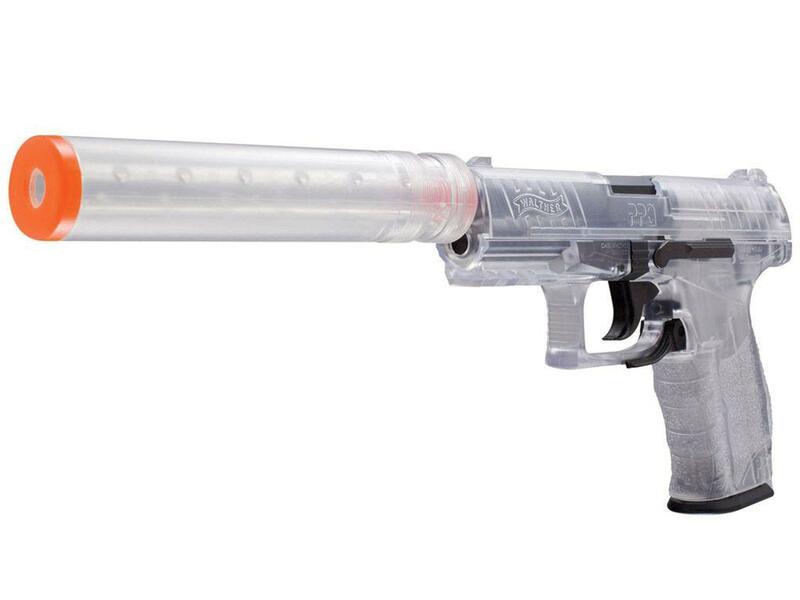 Comes with 400 6mm plastic blue BBs, and 400 6mm Nightglow BBs.